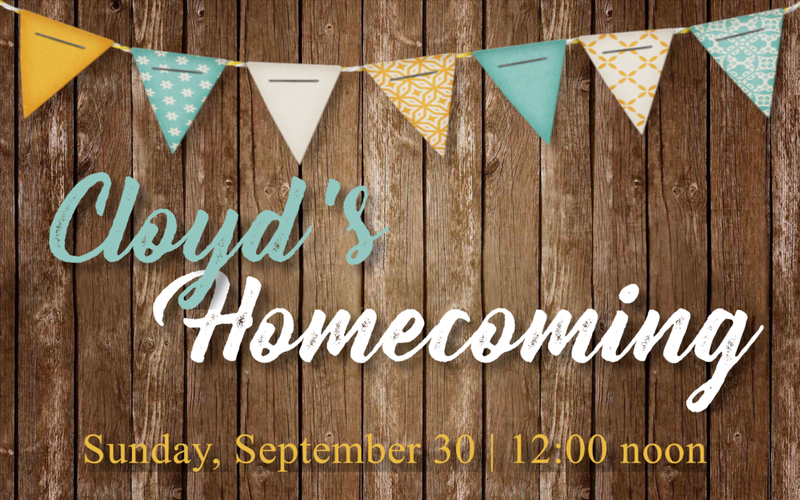 Join us for Cloyd's Homecoming this Sunday, September 30th, 2018. The celebration will begin at 10:00 a.m. with a meet and greet, light breakfast and dulcimer music in the prayer garden. Our 11:00 a.m. worship service will feature a presentation of the church vision and note burning, to signify the major milestone of paying down the church debt. Immediately following our worship service, we will enjoy a complimentary catered lunch and concert by The Dixie Dulcimers. Come and invite friends (old and new) to celebrate our shared history and vision for the future!